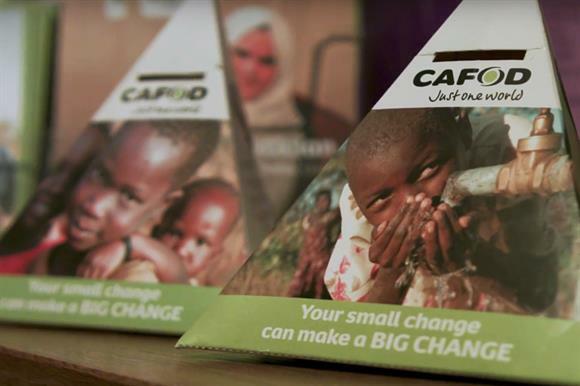 The Catholic international aid charity Cafod has been suspended from an international scheme to protect beneficiaries because of failings in how the charity handles complaints about exploitation and abuse. The charity has been suspended from the Core Humanitarian Standard until next year after an independent audit by the Humanitarian Quality Assurance Initiative found Cafod’s complaints system was effectively non-functional for a year and a half. The CHS has nine commitments for organisations involved in humanitarian response to ensure aid organisations provide quality and effective assistance to beneficiaries, one of which is that communities and people affected by crises have access to safe and responsive complaints mechanisms. Cafod signed up to the CHS in 2015 and recently requested the HQAI investigation to ensure it was meeting its standards. But the HQAI report says there were gaps in the charity’s complaints-handling systems, which the charity said it was seeking to improve, and as a result recommends the charity’s suspension from the CHS. The audit found that the charity had only relatively recently established an operational complaints-handling policy and reporting system, with a gap of almost 18 months in which this system was non-functional. Staff at the charity had "limited knowledge and sense of ownership" of the complaints system, the report says. It adds that there was "no meaningful consultation" with partners and communities about the system. These failings meant the audit found the charity was "not presently in position to ensure communities have access to safe and responsive mechanisms to handle complaints", the report says. Earlier this year, Cafod sacked a former Oxfam employee who was involved in the 2011 Haiti scandal. Chris Bain, director of Cafod, said: "We are passionate about protecting as well as serving the poorest communities overseas. Cafod requested the independent HQAI audit to hold ourselves fully accountable. We were very disappointed that it found gaps in how we welcome and address complaints from overseas communities, and we will do better. "By shining a light into all areas of our work and taking action, we are a stronger and more accountable organisation, upholding our commitment and passion to improve the lives of the poorest and most vulnerable people."